This next book was shared by a colleague of mine as we decide what we might offer for the curriculum next year. (Don't let this put you off!) I hadn't read any of his works before, so it was with no expectation that I approached this new read. This makes uncomfortable reading for the white man. Categorised as a post colonial novel, it explores the impact of the white missionaries who populated much of Western Africa in the nineteenth and early twentieth centuries. The story is set in Umuofia, a fictional African village in Nigeria. At the opening of the novel, the village is steeped in cultural history that has been unchanged for generations. The protagonist, Okonkwo, has gained respect and power in his clan, managing to obviate the shame of his lazy and drunken father. Worshipping the Gods of their ancestors, villagers participated in ceremonies that invoked the ancestral spirits, a collusion that recognised that "[his]wives, and perhaps other women as well, might have noticed that the second egwugwu had the springy walk of Okonkwo." 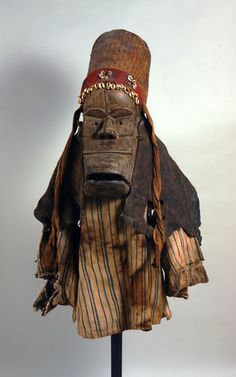 Perhaps it was this recognition that part of what they colluded in was an obvious falsehood, that the spirits they invoked were clearly the elders of the village in ceremonial garb, that made some of the inhabitants of Umuofia and the surrounding villages open to the preaching of Christianity. Christianity came hand in hand with education, which many willingly grasped hold of. But the heart of this book is not promise of redemption or an evaluation of tribal lives; it is a story of personal tragedy. Okonkwo is defined by his clan. His identity is subsumed within tribal practice and tradition. Chinua Achebe draws him with clarity, but with little embellishment. This succinct writing style manages to convey highly emotionally charged content as if it were blandly factual. Thus the fate of Ikemefuna is decided by the clan and "The Oracle of the Hills has pronounced it." That Okonkwo reacts emotionally is clear, "He did not sleep at night," but it is also clear that he soon began "to feel his old self again" as the rhythms and traditions of the clan took over once more. The tragedy lies in his return from exile to find that the white man has a foothold in his village. Okonkwo cannot reconcile his life to the alien demands and morality made on him by the missionaries. He struggles to maintain his identity and that of the clan, and the end is predictable and tragic. This is the first of a series of three short novels that chart the progression of colonialism in the area. This is a first generation story, and I am left torn and confused. Did we ever have a right to impose our lifestyle, our culture on another land? Morally not. But do I baulk at the practices of death and retribution endorsed by the tribal culture? I do. Did the white man bring the gospel or did they seek to overpower? Perhaps a mix of both, but the latter certainly seems to dominate. Chinua Achebe was a Nigerian who benefited from the education that colonialism brought. His words communicate the complexity of that time and convey the fact that the consequences were (and are) far reaching. The simple, unemotional writing style adds depth and leaves readers with many more questions than answers. I am reminded of the writing of Chimamanda Ngozi Adichie and can recommend Purple Hibiscus as another novel set in Nigeria that explores the clash of cultures post-colonialism. So, from no expectation, I found a worthwhile and challenging read from a book that expresses itself with no pretension. I am encouraged to read the following novels of the trilogy: No Longer At Ease and The Arrow of God. My current reading is twofold, The Case for Christ by Lee Strobel and a much more lighthearted dip into one of my comfort authors, Erica James! Reading should be for pleasure. A good reader is an eclectic one! I look forward to sharing my next post with you.